Lanccelot wants to create a great watch collection that will represent the power and beauty to its wearer. 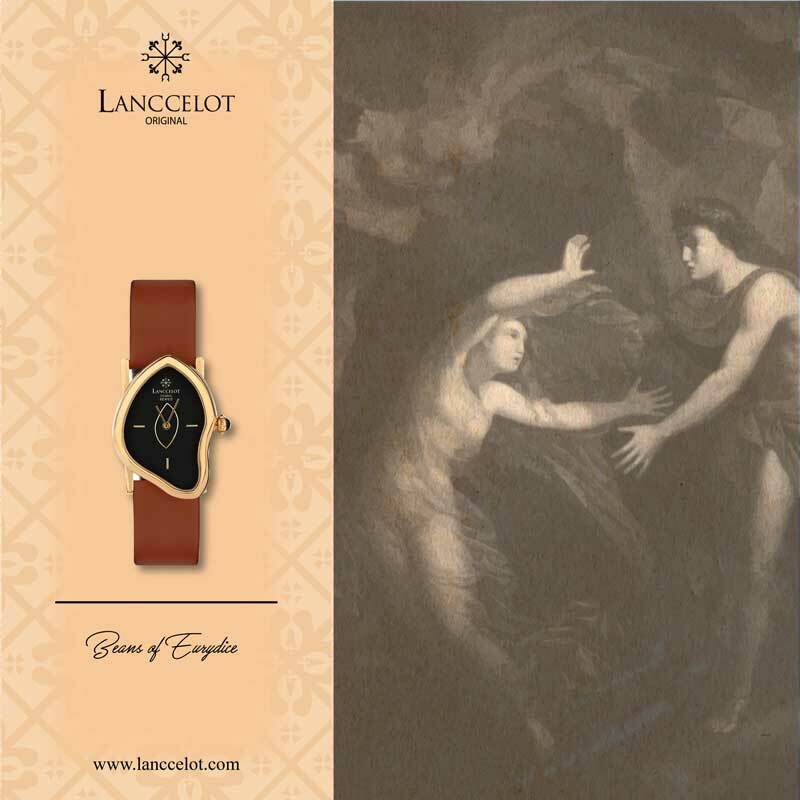 Therefore, inspired from Greek mythology, Lanccelot create Bean’s of Semele. 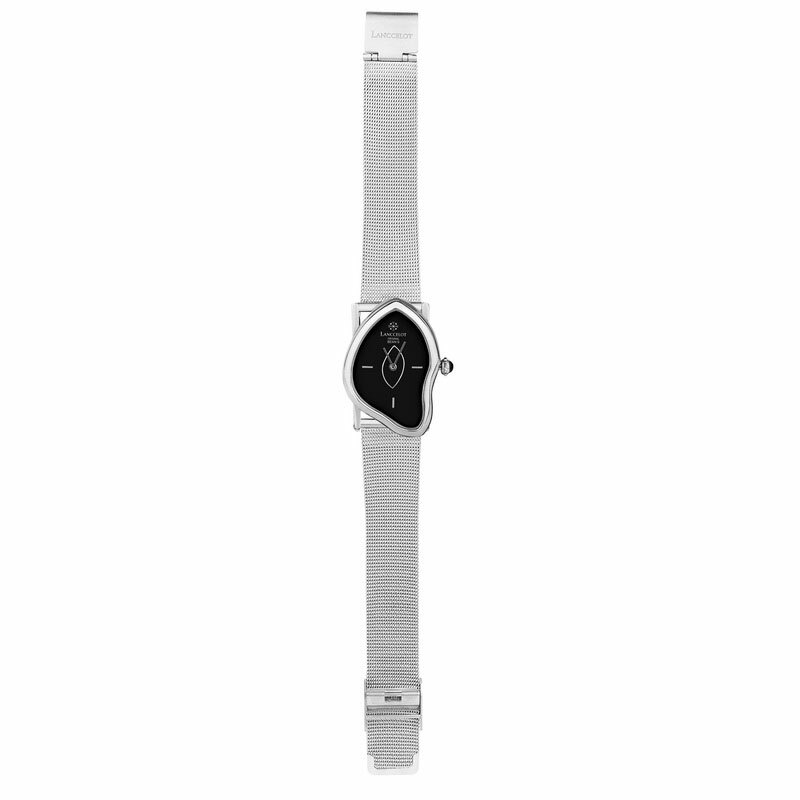 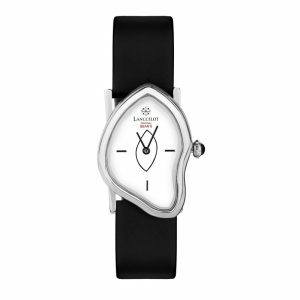 Lanccelot specifically design the watch to represent the characters of Semele. Semele was a princess of Thebes in Greek mythology, daughter of the hero Cadmus and Harmonia. She was the only mortal to become the parent of a god. 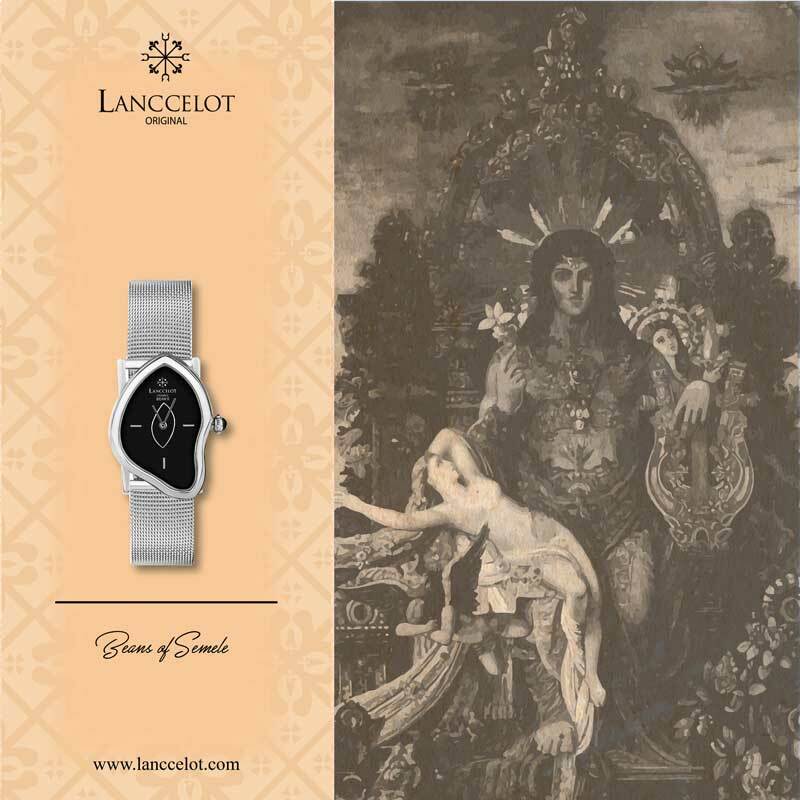 Semele is the mother of Dionysus. 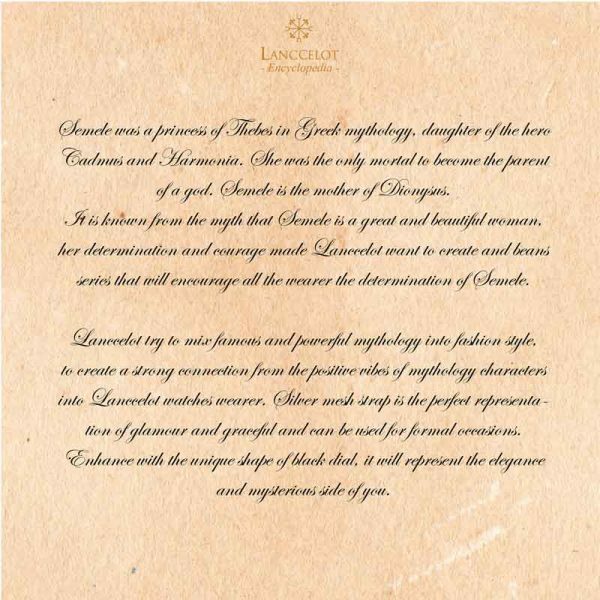 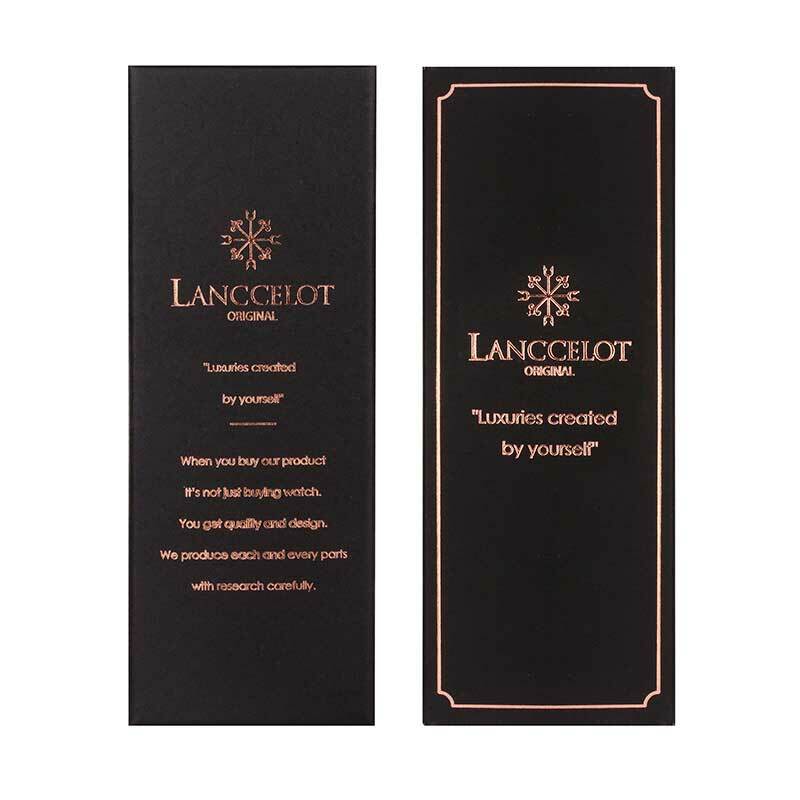 It is known from the myth that Semele is a great and beautiful woman, her determination and courage made Lanccelot want to create and beans series that will encourage all the wearer the determination of Semele. 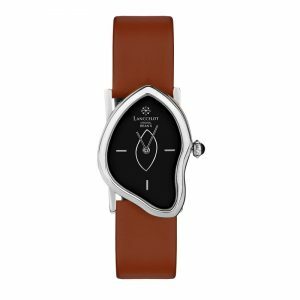 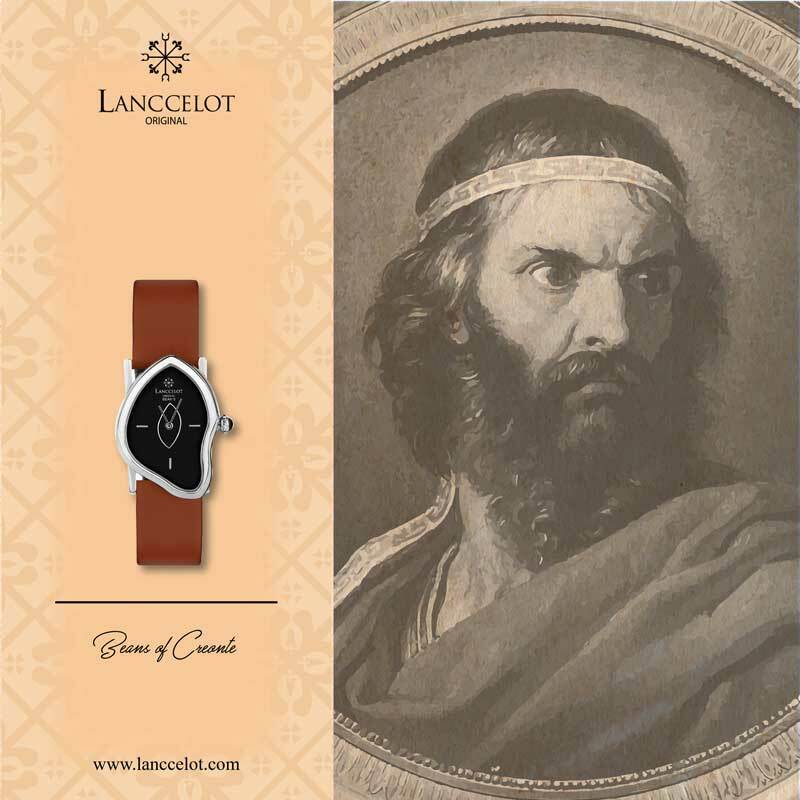 Lanccelot try to mix famous and powerful mythology into fashion style, to create a strong connection from the positive vibes of mythology characters with Lanccelot watches wearer. 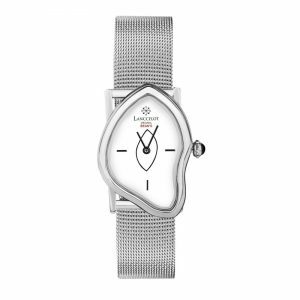 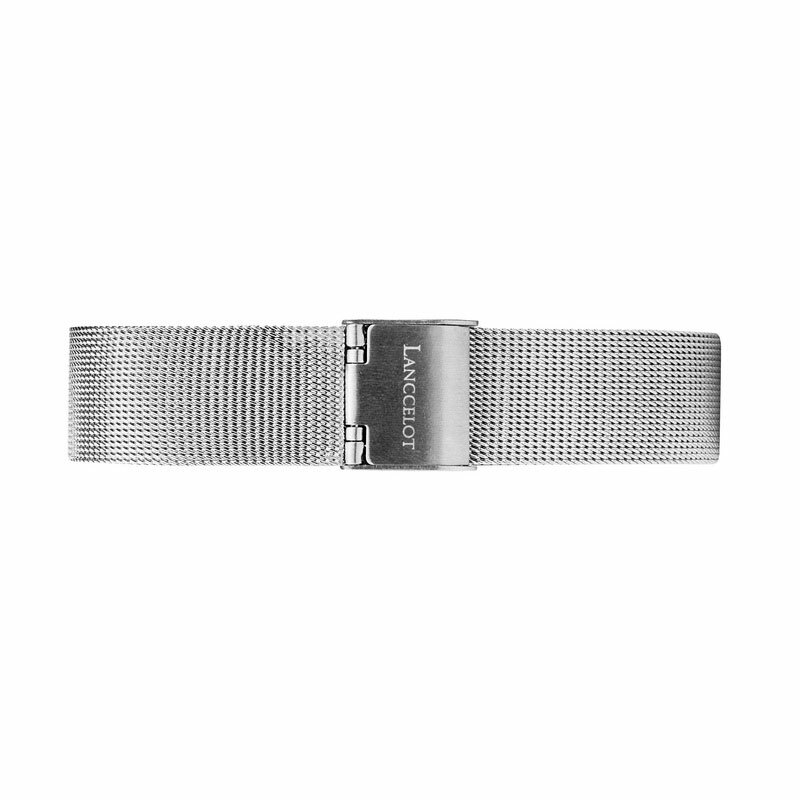 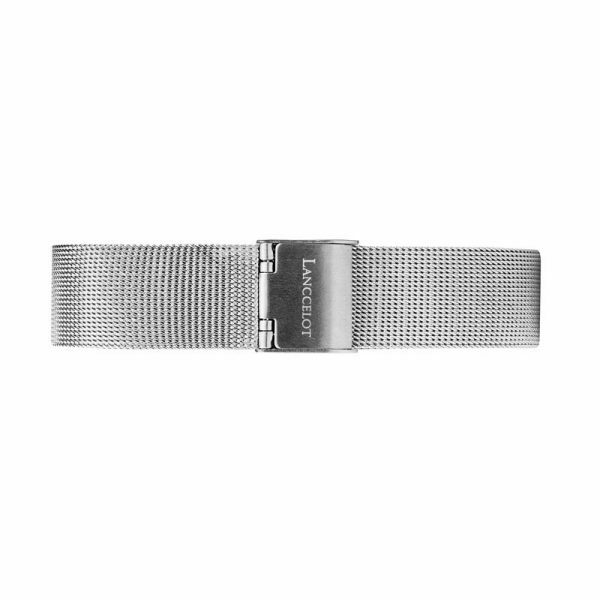 Lanccelot knows that you want to show glamorous and confident side of you, and silver mesh strap is the perfect representation of glamour and graceful and can be used for formal occasions. 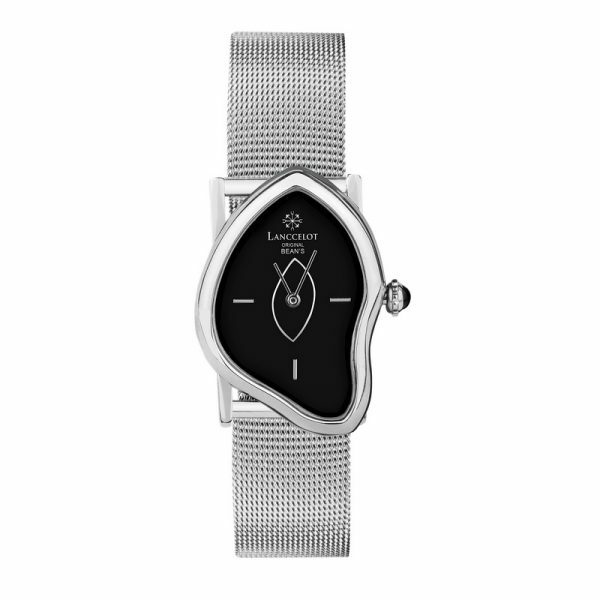 Enhance with the unique shape of black dial, it will represent the elegance and mysterious side of you. 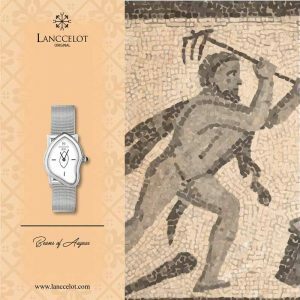 You can easily mix and match with any kind of fashion style. 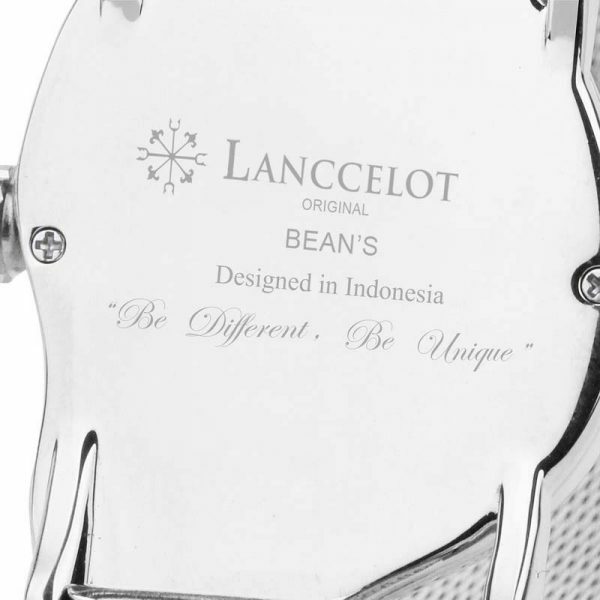 This watch is made in Indonesia and we try to serve the best product for you.